Handmade in small batches with the highest purity of ingredients. This beauty oil is designed to soothe and heal even the most troubled skin. It is excellent for all skin types but especially those that are extremely sensitive. I created Twinkle to treat a multitude of issues I was combating with my own skin. I had acne, redness, hyperpigmentation, eczema, dryness, hydration imbalance, sensitivity to most beauty products and cosmetics. 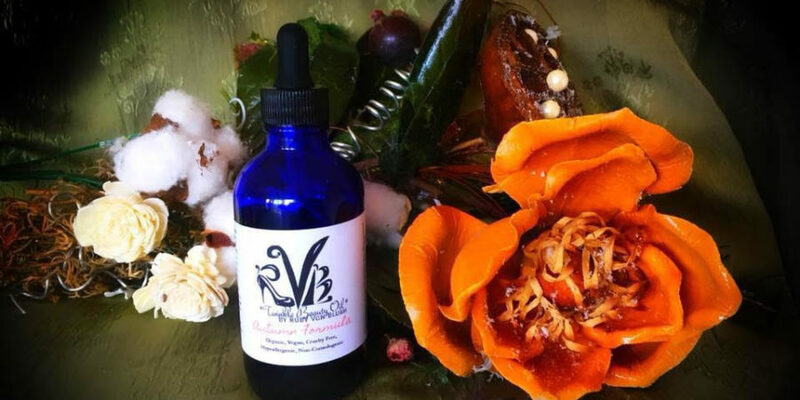 In a desperate search for something to work for me I started creating my own skin care products through trial and error and simple formulations. After 5 years, the result is my Twinkle Beauty Oil. I create this oil in very small batches to maintain the highest quality ingredients absent any sort of artificial preservatives. I have sampled many, many suppliers to find the purest and most powerful components to deliver maximum effectiveness. Quality makes a huge difference in how the ingredients are grown/farmed, extracted, processed and stored. My oil contains zero gmo’s, artificial scents, dyes, or components of any kind. Twinkle is organic, tested on humans, never animals. It is Vegan, Hypoallergenic, Non-comedogenic, Anti-aging, Anti-Acne, Anti-Inflammatory, Hydrating, Balancing, and Deep penetrating. Autumn formula is balanced especially to combat the temperature and extremity of the winter and ever shifting temperature season. My warm weather formula is balanced and finished a bit lighter to adjust for extra humidity and ph changes caused from environmental exposure. Named for my Fur Baby Twinkles, whom this oil benefits both topically and financially, this oil has completely changed my skin life. Twinkles was diagnosed with cancer early 2017. On a quest to help her anyway I could I started offering my oil to a larger audience of consumers. Twinkles passed away January 27th 2018. However, her memory lives on as we help each person with their skin needs one person at a time. Due to the purity of the oil, the suggested shelf life is 3-5 months from opening, as long as it’s kept in a dark and temperature controlled location. Protected from direct sunlight and air exposure will provide the greatest longevity. You can extend the life of the product further by storing it in the refrigerator, which is highly recommended, as cold product maintains freshness and also reduces inflammation. I have found the 3 ounce bottle does well at providing enough applications to get through before the 3 month minimum deadline. Of course each person’s needs will vary. Some will use more and some will use less. Since this oil is suitable for any area of skin on the body, many will use it in multiple areas. If you have a need for more than 3 ounces at a time, feel free to contact me about bulk formulas. Hemp Oil regenerates and energizes the skin’s protective layer. 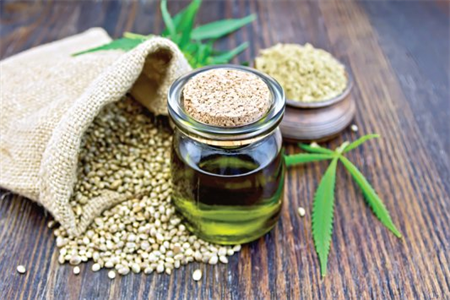 Due to its high content of omega 3 and omega 6 fatty acids, hemp oil has a composition similar to skin lipids, which makes it an excellent natural emollient and moisturizer. It is especially useful for dry, tired or dehydrated skin and nails. 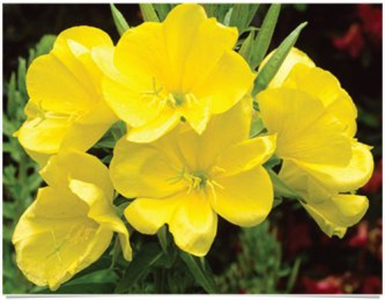 Evening primrose oil has been proven to treat eczema, psoriasis, atopic dermatitis, and age-related structural and functional changes in skin tissues; such as redness, firmness, roughness, and fatigue resistance. The omega-6 fatty acids present in evening primrose oil can help you to regulate your hormone levels and cure your hormonal acne issues. These fatty acids also play a role in cell structure, improving nerve function and promoting skin elasticity. 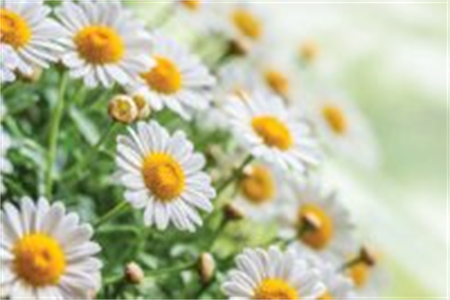 A powerful Antioxidant, Chamomile provides a multitude of benefits to the skin. 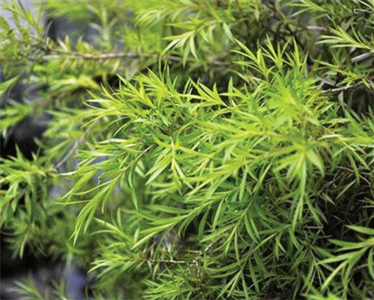 Calming acne and eczema, easing skin rashes and scarring, this powerful plant is a miracle for sensitive skin. Providing anti-aging and anti-cancer benefits due to it’s antioxidant properties, you are well armed against a world of environmental and genetic attacks to your skin. 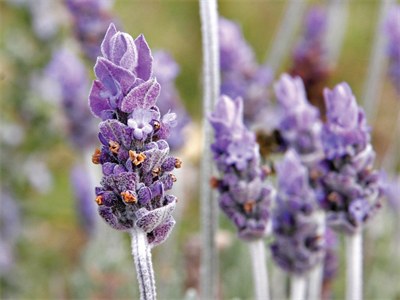 Lavender is a magical resource found in nature. It’s calming and soothing properties make it powerful defense against skin ailments of any kind. Soothes acne, itching, burns, inflammation, scars, insect bites, dryness, irritation and sensitivity. It also has countless therapeutic benefits simply from inhaling it’s aroma. Melaleuca, also known as Tea Tree, is an exceptional component to the treatment of skin ailments. Anti-fungal, antimicrobial, anti-bacterial, and anti-inflammatory, it is a wonderful warrior against Acne, Psoriasis, Rosacea, Eczema and more. 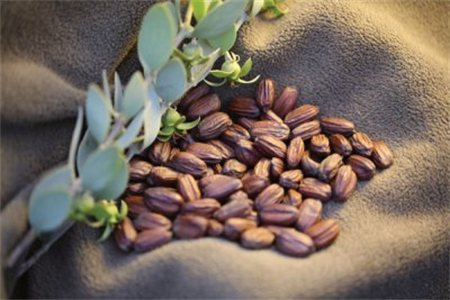 Jojoba oil has anti-inflammatory properties which help to tame chaffing and chapping, reduce redness caused by drying, ease the effects of eczema and rosacea, and keep skin calm and comfortable. The Vitamin E and B-complex vitamins in the Jojoba oil help in skin repair and damage control playing an essential role in anti-aging and hydrated skin. 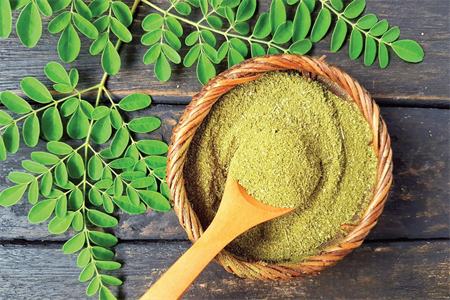 Moringa oil is rich in vitamins and unsaturated fatty acids. It contains antiseptic and anti-inflammatory properties, which help heal minor skin complaints such as cuts, bruises, burns, insect bites, rashes and scrapes quickly. Packed full of vitamin E, it is one of nature’s best preservatives. The anti-inflammatory properties of this oil can help in the treatment of acne. It removes impurities from the skin and helps to rejuvenate it, treating acne in a gentle and calming way. 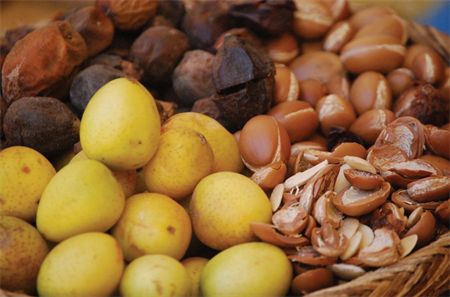 Argan oil is most commonly used as a skin moisturizer to hydrate and soften skin. With high vitamin E and fatty acid content, argan oil is the ideal product to give skin a natural boost. It absorbs easily and is non-greasy and non-irritating, which makes it a great natural moisturizer. Since argan oil regulates the production of sebum, which causes acne, its use can help reduce further breakouts and heal and soften scars caused from acne, eczema, and psoriasis. Apply several drops to your cleansed face, neck and throat as the final step in your beauty routine. Can be used as a serum under your favorite cream or makeup primer. Wait 10 minutes to absorb before applying makeup. Hydration needs will vary from person to person. Some will use more and some will use less. If it takes longer than 10 minutes to absorb you should use less. Can be applied to any area that needs hydration or treatment. Always keep out of eyes. Twinkle Oil is a wonderful companion to Chopper Oil to intensify and boost the effects of blemish treatment, anti-aging effects or to take your Twinkle oil to the next level of problem skin care needs. Simply blend both formulas together in your hand and apply directly to skin. The creation is “Twinkle Plus” A powerful antioxidant rich blend that dominates your skincare regime. Apply Twinkle oil full strength directly over an active blemish, insect bite, scrape, dry patch, or skin discoloration for extra therapy and treatment that shows within minutes.